A pub that has been around for quite a while in Nottingham in an old canal building. The canal area has recently been refurbished to be more like the Manchester one. So there is plenty of nightlife around here. Very much a young persons pub there is sport on TV at the weekends and a busy atmosphere. 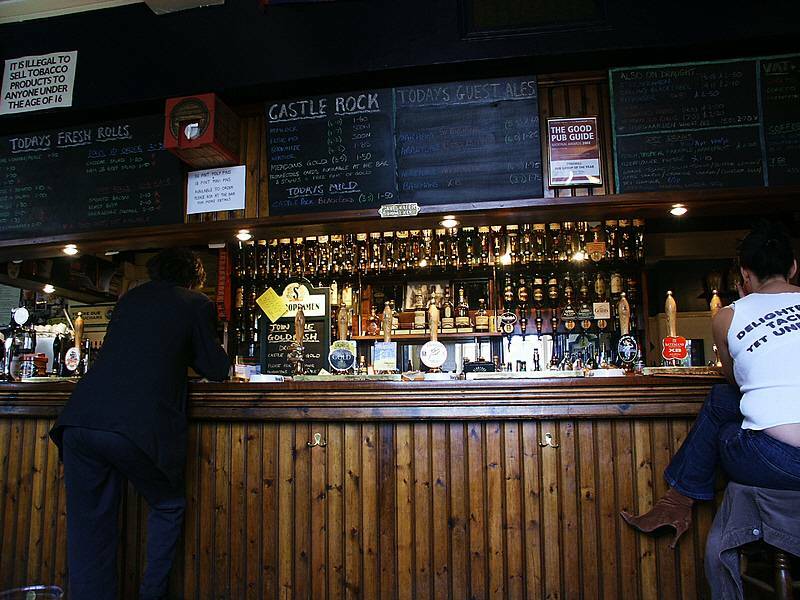 There are three distinct levels to this pub - the front entrance leading towards the corner bar is flat and wooden floored, to your left is a raised area by the front windows which requires you to negotiate steps. Here the seating is tables and chairs on carpeted floor - a TV sits above your heads. The area to the rear of the building past the bar (round tables and chairs here, some stools) is lower again and has much the same as the raised area, including TV. The decor is all about the narrowboats as this building was the offices of the pub namesake. Beer used to be brewed on the premises upstairs by the gents toilets (no jokes please). The tuns could be seen through glass. They now serve six regulars with three guests. A real cider is available. Food is served here until 11-3 (Wednesday-Thursday 8pm; Friday 9pm), Saturday 10-9 and Sunday 11-6. There is a restaurant out back that serves both continental and British food at not too expensive prices. Parking is possible at the rear. 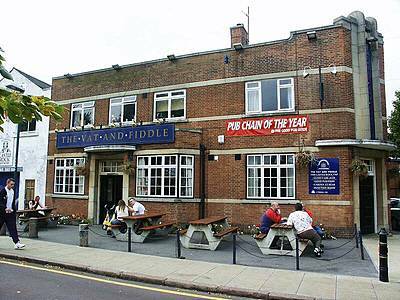 Also try the Vat and Fiddle. Closest metro station - 'Station'. up to 7 ales. Food during week. Open All day. 12-11pm, Sun 12-10.30pm. Food: when open. Beer: 4 regulars plus 1 guest. Food also served till 8p.30pm on show nights. Beer: 3 regular, 3 guests. Nottingham, NG1 4EN. (0115) 947 5650. Open: Mon-Sat 10-2am. Sun open sometimes. Circus, Nottingham. (0115) 952 0309. Open: 11-11pm. Food: 12-2.30pm, Sun 11-2pm. Nottingham. (0015) 9866881. Open: 11-11pm. Food: available. Beer: real ales. The News House, 123 Canal Street. Indoor Arena. Big screen sports TV, bar billiards, darts and lunchtime food.